This is my first Weekly Photo Challenge!….and this is my photo! 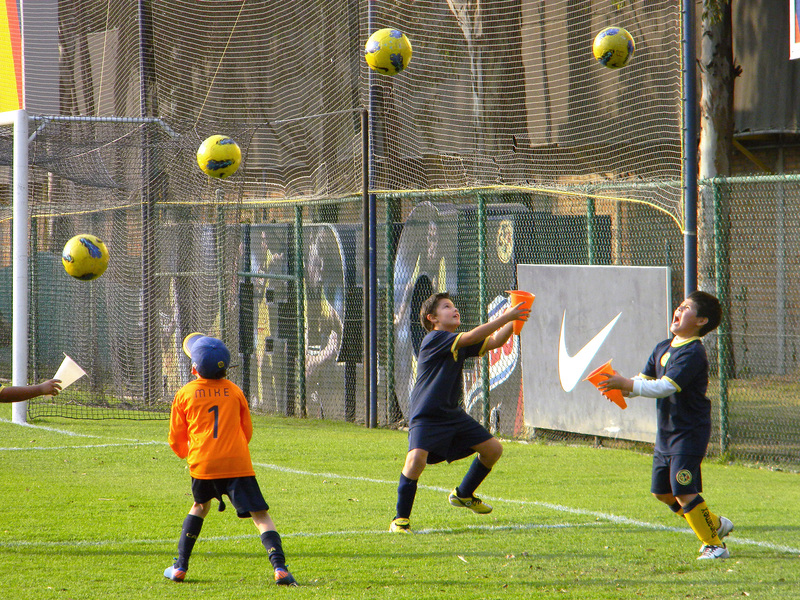 It was taken in the Club America Football (soccer) Club in Mexico City. This exercise was part of a coordination training and I loved the way kids enjoyed and laughed so I needed to take some pictures…it was quite a moment!. I´m pleased to share this with you. Balls Up by Jorge Chincoya is licensed under a Creative Commons Attribution-NonCommercial 3.0 Unported License. I love the face of the kid on the right! Yeah! I think that’s why the photo is so funny. Thanks! What a terrific shot! And I love the expressions on the boys’ faces. Great first entry for a photo challenge! Thanks for sharing. it is indeed a nice experience. Yeah!! And watch them having fun is really contagious … Thank you!